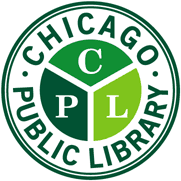 The McKinley Park branch of the Chicago Public Library presents Games Day from 1:30 p.m. to 4:30 p.m. on the second Saturday of the month, at the library, 1915 W. 35th St., Chicago. Come and play new games at the library, with six new games selected each month. Traditional games will also be available. This is an all-ages event, but children under 11 years of age must be accompanied by an adult.